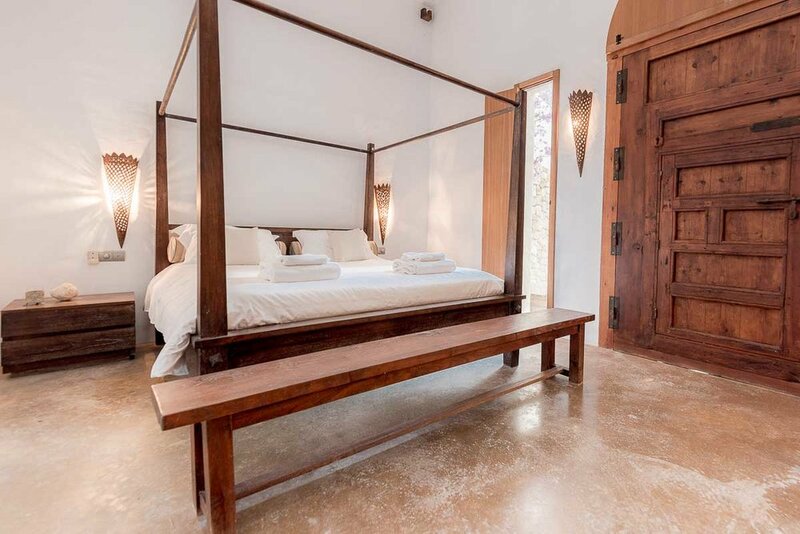 Soulshine Retreats offer the ultimate opportunity to pause from modern day life. Six nights of delicious daily Yoga, Meditation, talks and workshops from a dedicated expert team. Loving and attentive hosts to ensure that you don't lift a finger (we’re quite strict about that)! not to mention laughing lots, making new friends, snoozing, sunbathing, exploring, indulging in ridiculously yummy food and having an all round jolly good time! Rediscover and reconnect with your true nature and let your soul shine. For the many Soulshiners who have joined us over the last five years, you can expect the best of all our spaces combined in Can Shui. Woohoo! Luxurious accommodation, breath-taking views to sea to maximise on the instant ‘ahhhhhh’ relaxation factor, stunning countryside surroundings – tick, tick and tick! 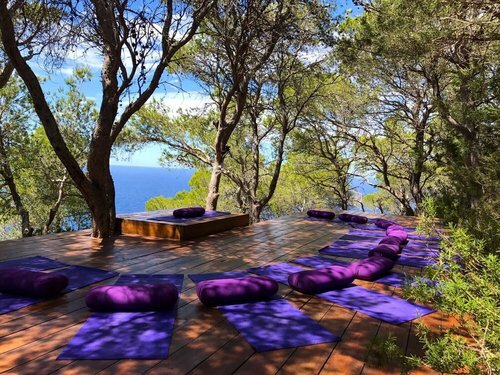 And that’s in addition to epic sunsets over the sea, a stunning yoga deck looking out to sea and nestled into pine trees plus a jaw-droppingly beautiful secluded beach within hiking distance. Not to mention insanely delicious and healthy fare, a jam-packed wellness schedule and incredibly experienced wellness team to soothe body, mind and spirit. What's not to love? Our original and massively popular Soulshine Retreat, Pure Soulshine offers a truly transformative immersion into holistic living with heaps of Flow Yoga with the amazing and much-loved Rachel plus all Restorative, Yin Yoga and Mindfulness with your truly! That's in addition to a whole range of workshops including Nutrition, Ayurveda, Mindfulness Meditation and Life-Coaching - so the experience extends way beyond just Yoga & Meditation into a space of all round transformative and healthy living. Led by Soulla, the Shine Bright Retreats are the perfect opportunity to bring a deliciously cleansing spring-clean to body, mind and spirit – leaving you feeling relaxed, rested and full of optimism for the future. For 2018, our experienced Soulshine Team will be having a chat with each and every Soulshine guest on arrival to provide a brief Assessment and Wellness Therapy recommendation for your time in Ibiza should you wish to indulge in additional treatments. And what a choice of deeply healing therapies we have to delight body, mind and spirit this summer! Nutritional Consultations and personalised programmes, Sports and Deep Tissue Massage, Relaxation Massage, Indian Head Massage, Oracle & Tarot Readings, Shiatsu, Reflexology, Natural Facelift Massage, Reiki & Energy Healing, Cranio-Sacral Therapy, Life-Coaching, Ayurvedic Therapies, Acupuncture, Myofascial Release, Relaxation Massage, Thai Massage, Shamanic Therapy, 1:1 Yoga & Meditation Sessions and beauty pampering Manicures, Pedicures and Luxury Facials using local and organic products. Each Soulshine Retreat is structured around the emotional, physical and spiritual aspects of the energetic Chakra system. Each day a different Chakra is at the heart of the morning and evening yoga to create deep opening and awareness throughout the retreat. Morning Yang: Dynamic, flow based Yoga with music, quotes, poetry and inspiration. Evening Yin & Restorative Yoga: Nervous system and soul-soothing evening Yoga sessions to bring the body into deep relaxation and the spirit into greater contemplation and release. Yummy Yoga Nidra: There are also several Yoga Nidra sessions throughout the week to encourage maximum balancing of the Nervous system and enhance relaxation, healing and deep sleep. 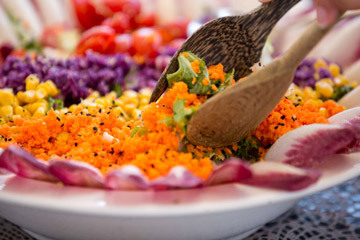 Continuing with our intention of empowering guests, this is a very popular and fabulously fun opportunity for Soulshiners to learn how to re-create some of the deliciously healthy retreat cuisine on your return home. Getting your hands dirty, you’ll prepare the groups’ lunch with the guidance and teachings from our incredibly talented chef - Remko the Great! 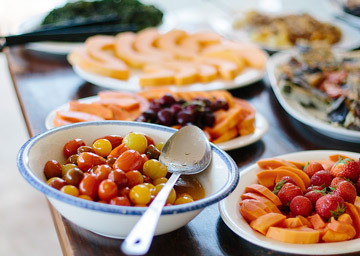 All food is dairy-free, gluten-free and vegetarian on retreat and this is a great opportunity to understand the many ways in which we can nourish ourselves on a physical level and beyond and to also demonstrate how accessible healthy eating can be. A workshop to break down the key foundation poses in Yoga and to de-mystify the sun salutations. Just perfect to build confidence for beginners. An introduction to Meditation and more specifically Mindfulness; to explain the benefits of Meditation, the context of Mindfulness, why it has become so popular and is so important, how it can change your life and techniques to empower you to build a self-practice. A talk by Anna, our expert Nutritional Therapist – not a dietary fad in sight, expect to get down to the heart of nutrition and understand on a fundamental level the importance of a healthy gut, the impact on our health and what we can do to understand and improve upon our overall health from a nutritional perspective. Many Soulshiners have gone on to work on a 1:1 basis with Anna, who is an exceptional nutritional therapist. A Yoga session with me that incorporates techniques to improve on sleep with focus on bringing the Nervous system into balance to support relaxation and encourage sleep. Handouts provided so you can continue your practice at home! A mind-opening introduction to the Ancient healing modality of Ayurveda offering incredible insight into understanding each of our individual constitutions from an Eastern perspective, encouraging greater insight into the self and acquiring information to deepen our ability to live with balance and self-care. Lead by Soulla, this is a time to reflect upon your retreat experience, what you have learned, how you feel you have evolved, what has come up and any further insight. This is followed by the opportunity to commit to a self-care plan and to consider what it is that you wish to carry forwards into your life. Each guest will be guided to set goals and put in place tools to support a life of great self-care, honouring the spirit and nourishing the soul. A beautiful opportunity to commit to self-care and continuing the work of the retreat, once home.